RNAO believes patients and members of the public can play a key role in making the health system more responsive to people's care needs. 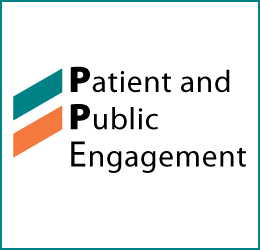 With its long history of involving patients, its members, and the public in its activities, RNAO launched a Patient and Public Engagement (PPE) strategy in October 2016 to create a comprehensive framework and identify areas for their involvement. In the spring of 2017, the association established a PPE council, which advises RNAO on all areas related to anchoring patient, family caregiver and public engagement in the organization's overall goals, including advancing healthy public policy. Why patient and public engagement? There is a need for health and health-care services to reflect the voice of patients, family caregivers (including friends/neighbors), and members of the public. The PPE council and reference group advances RNAO's commitment to develop a transparent, robust, and collaborative culture, organization, and ultimately, a better health-care system. PPE can lead to improved health outcomes, more relevant research, better service quality and increased patient safety. It can build trust and communication between organizations and those affected by health-care decisions and resources. PPE is a democratic process where citizens have the opportunity to voice their opinions on how publicly funded programs are carried out in a way that benefit them. It can also be an avenue to patient/family empowerment and patient activation, involving individuals as partners, working "with" them instead of "for" them. PPE acknowledges that patients and families have an expert understanding of their own health and illness, through lived experience. This expertise can provide a firsthand perspective to identify the most relevant, effective, and cost-efficient methods in health care, health programs, research, and resource design. What do members of the PPE council and the reference group do? The role of PPE participants is to contribute their opinions and advice on activities, such as aiding in the development of health resources, sitting on guideline development panels, attending focus group sessions, and discussing personal experiences with health and the health-care system. For more information on RNAO's PPE please contact Sarah Boesveld at sboesveld@rnao.ca or 416-599-1925 ext. 210.